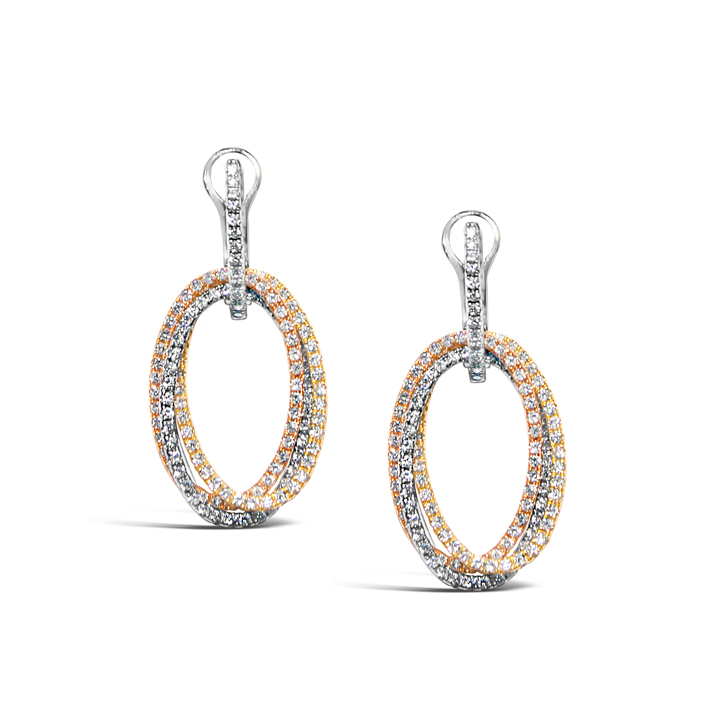 18 karat rose, white and yellow gold diamond fashion earrings. 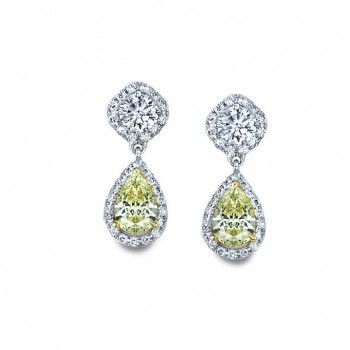 These diamond cluster earrings feature a total weight of 1.53 carats of round brilliant cut diamonds. Omega backs. 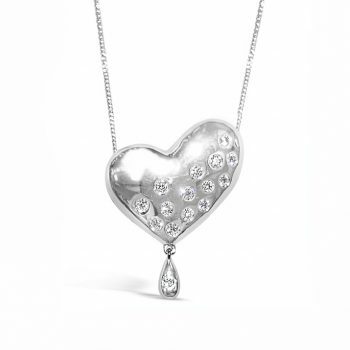 14 karat white gold diamond heart pendant. 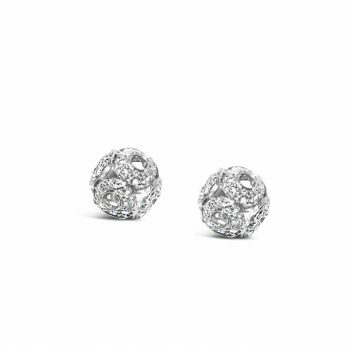 14 karat white gold diamond cluster fashion earrings. 18 karat white gold vintage inspired diamond drop fashion earrings.